What’s not to love about summer? Besides the holiday season, it’s my favourite time of year. My oldest daughter is home from university and my girls and I get lots of quality family time. 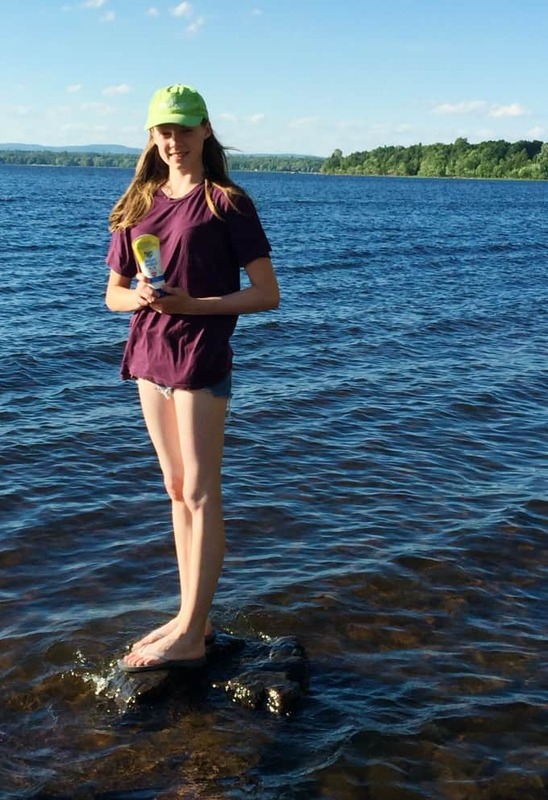 My parents live on the Ottawa River so we spend lots of time at their place. Olivia, my oldest, enjoys sunbathing on the dock with her friends. Bridget, my youngest, is more adventurous. She loves going on the boat with my dad and swimming with her friends. 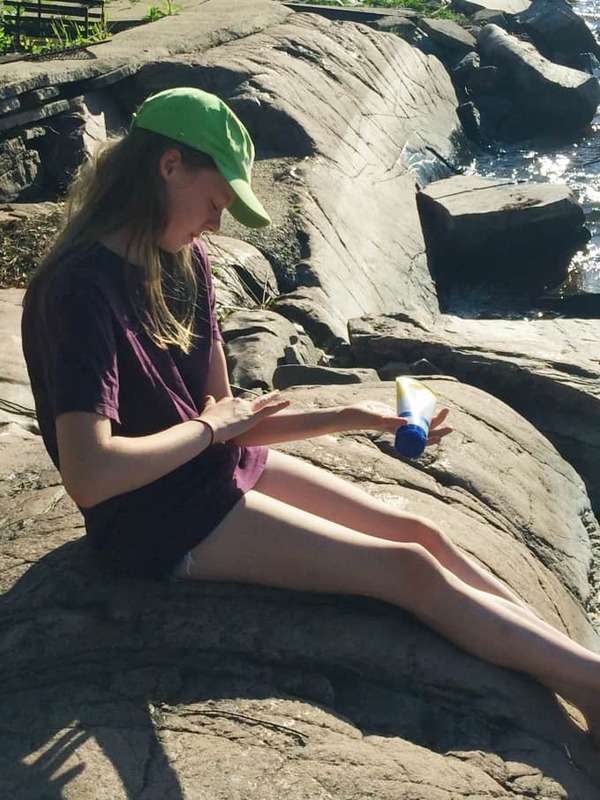 With all this time spent outdoors, I’m focusing on sun safety for my family. We are all fair-skinned and burn easily so sunscreen is an absolute must. No one wants to deal with a sunburn. Before Bridget heads outside, I make sure she has applied sunscreen. 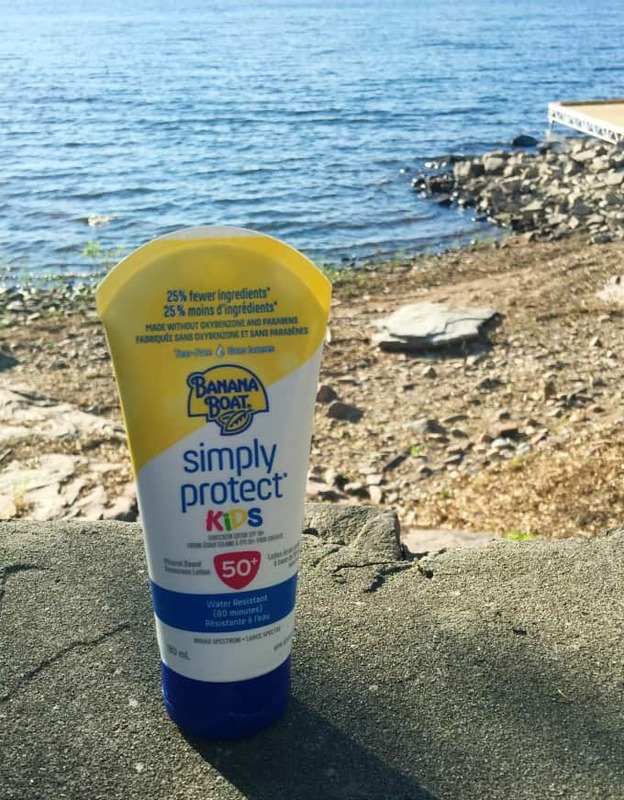 We are loving the new Banana Boat Simply Protect Kids Sunscreen Lotion. Bridget applies it herself for the most part, but I have to help her with the exposed spots she can’t reach like her back. I keep a bottle of it with me in my bag at all times just in case. You never know when you might need it! Like I mentioned, Banana Boat Simply Protect Kids Sunscreen Lotion is a new product released this year. It’s available in SPF 50+ which is the SPF I typically look for in a sunscreen. I want the maximum protection. It also comes in an SPF 50+ Spray. It has 25% few ingredients and is made without oxybenzone and parabens. It also has no added oils or fragrances. It’s mild and gentle for even the most delicate skin. 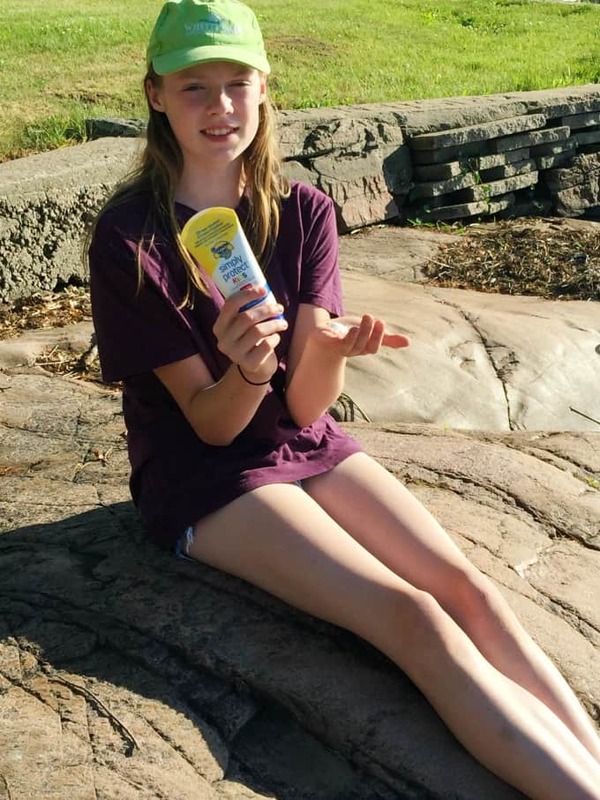 Bridget has sensitive skin (she gets it from me, lucky her) and I appreciate the fact that this sunscreen is so gentle and mild. It rubs in easily and you can’t even tell you’ve applied sunscreen. It instantly absorbs into the skin. I didn’t notice any smell to it either. It’s also not greasy. No one wants to feel like they have a thick layer of grease on their skin after applying sunscreen. I love how lightweight it is. I think the most important thing about sunscreen is if it works. After using Banana Boat Simply Protect Kids Sunscreen Lotion for the past month of outdoor fun, I can tell you that it works very well. Bridget hasn’t gotten a sunburn and she’s been spending the majority of her day outside. We make sure to apply it after she’s been in the water. It’s water-resistant for up to 80 minutes. The Banana Boat Simply Protect Line is new and has a variety of sunscreens to choose from depending on your family’s needs. Visit Banana Boat to learn more and find one that is right for you!